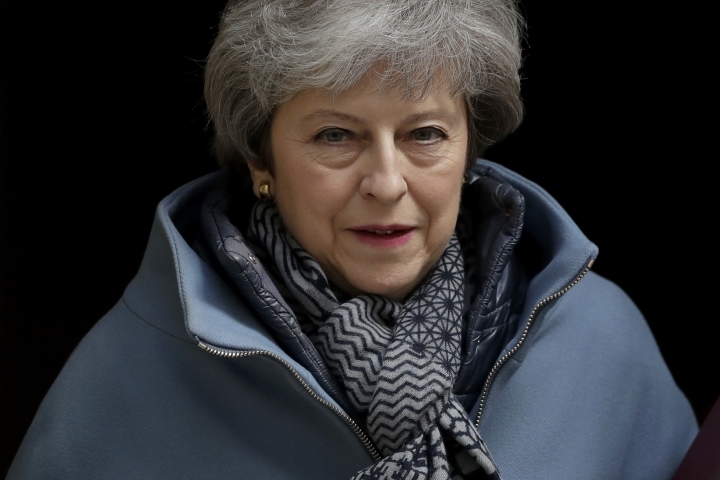 LONDON — Britain's Brexit drama went into overtime Wednesday as Prime Minister Theresa May and the country's main opposition sought a compromise deal to prevent an abrupt British departure from the European Union at the end of next week. 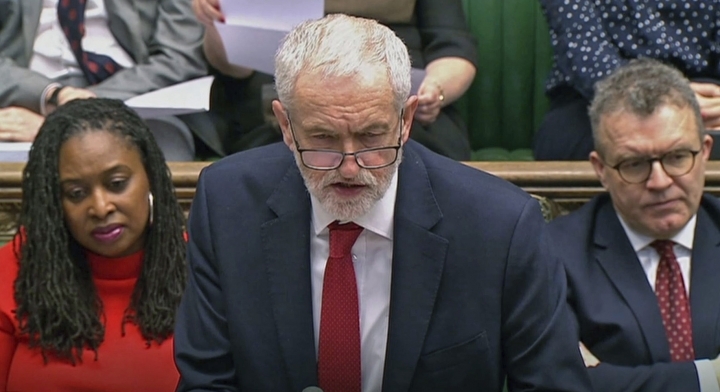 In an about-face that left pro-Brexit members of May's Conservative Party howling with outrage, the prime minister sought to forge an agreement with left-wing Labour Party leader Jeremy Corbyn after failing three times to win Parliament's backing for her Brexit deal. 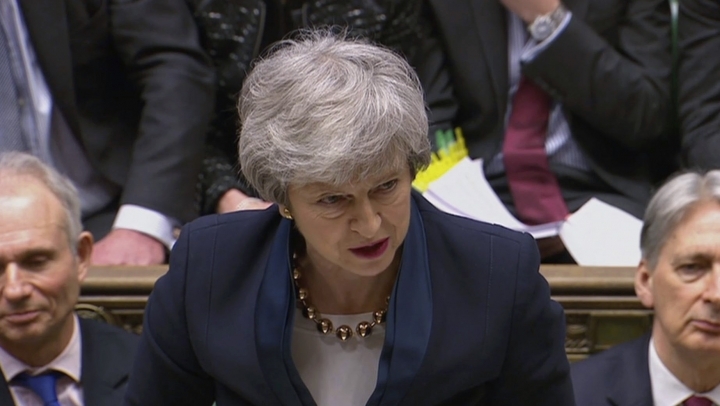 May also said she would ask the EU for a further delay to Britain's departure date — postponed once already — to avert a chaotic and economically damaging no-deal Brexit on April 12. 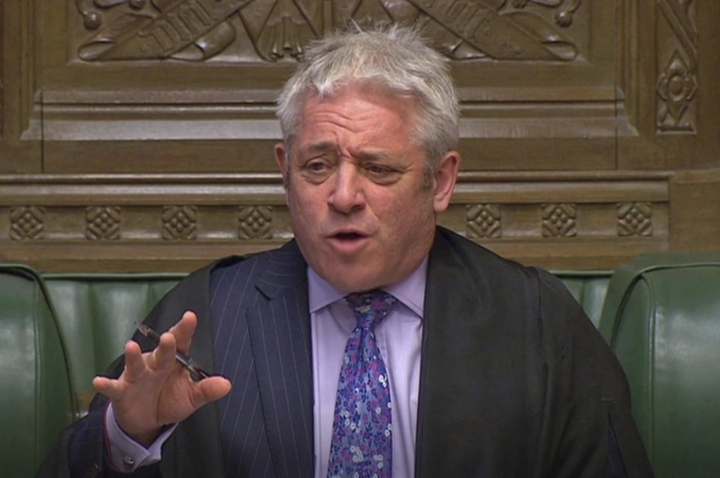 Skeptical lawmakers, reluctant to take her word for it, approved a hastily crafted law that compels May to ask for an extension to the Brexit deadline if a no-deal departure is looming. 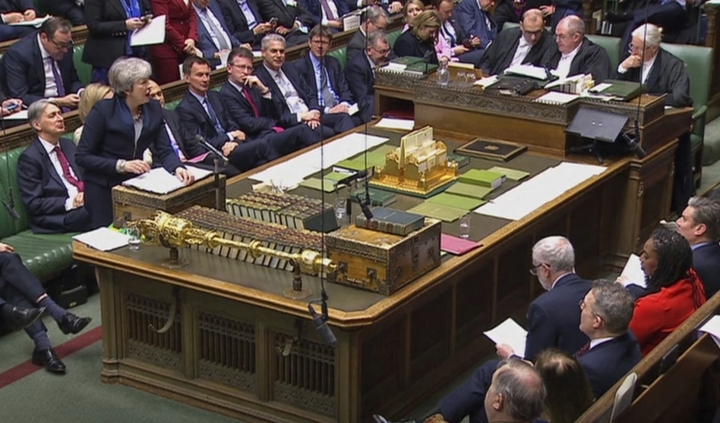 "The country needs a solution, the country deserves a solution, and that's what I'm working to find," May told lawmakers before meeting with Corbyn for about two hours. Afterward, both the government and Labour called the meeting "constructive" and said their teams would hold more in-depth talks Thursday. May's office said both sides had shown "flexibility and a commitment to bring the current Brexit uncertainty to a close." 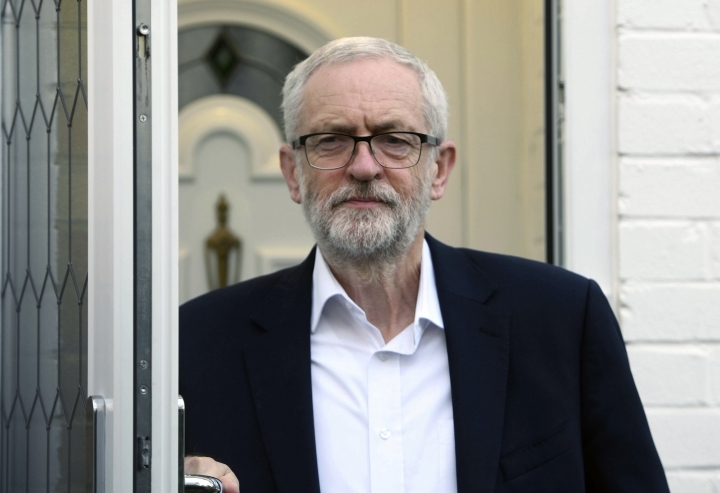 Corbyn, more muted, said "the meeting was useful but inconclusive." "There hasn't been as much change as I expected," he said. 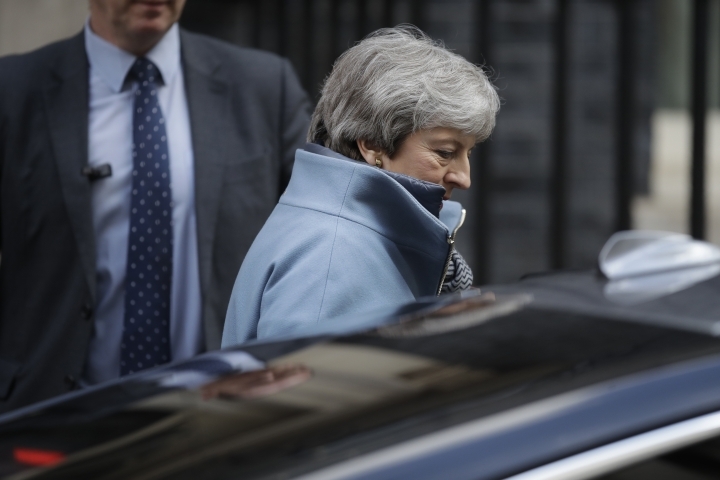 May's change of direction left her caught between angry Conservatives who accuse her of throwing away Brexit, and Labour opponents mistrustful of her sudden change of heart. Labour lawmaker Paul Sweeney said May's outreach to his party "shows the desperation that she's in." Pro-Brexit Conservatives, meanwhile, expressed outrage. 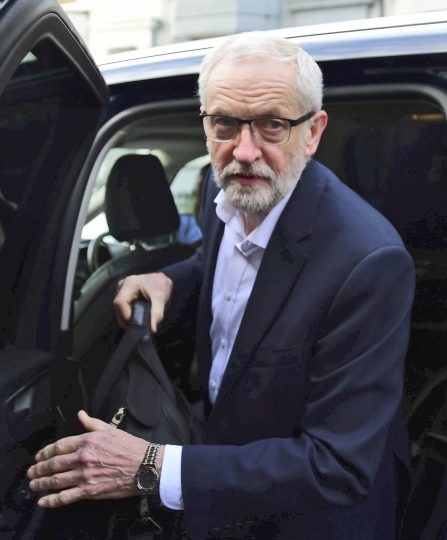 Two junior ministers quit, and other lawmakers angrily accused May of putting the socialist Corbyn in the Brexit driver's seat. 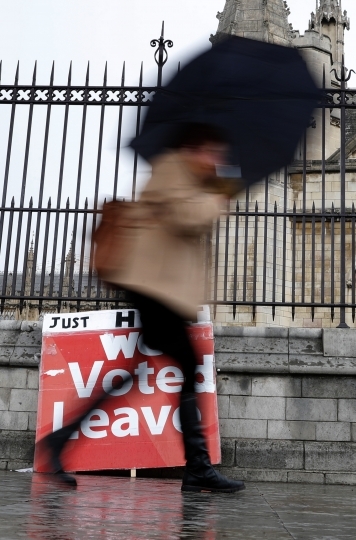 After lawmakers three times rejected an agreement struck between the bloc and May late last year, the leaders of the EU's 27 remaining countries postponed the original March 29 Brexit date and gave the U.K. until April 12 to approve the divorce deal or come up with a new one. 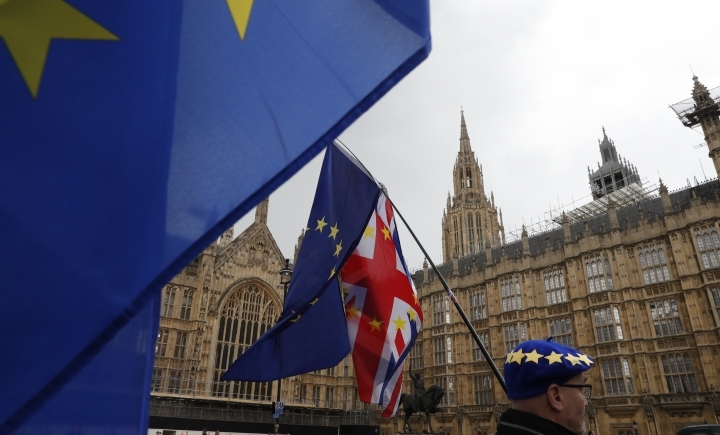 "A no deal on 12 April at midnight looks more and more likely," European Commission President Jean-Claude Juncker said Wednesday, adding that would bring disruption for EU citizens and businesses, but much worse economic damage for Britain. Bank of England Governor Mark Carney warned that, even though Britain and the EU both wanted to avoid a no-deal Brexit, it remained the legal default position, and the risk of Britain accidentally crashing out was "alarmingly high." Carney told Sky News that claims by pro-Brexit politicians that such a situation could be managed were "absolute nonsense." May's pivot toward Labour points Britain toward a softer Brexit than the one she has championed since British voters decided in June 2016 to leave the EU. Labour wants the U.K. to remain in the EU's customs union — a trading area that sets common tariffs on imports to the bloc while allowing free trade in goods moving between member states. Meanwhile, May's move infuriated pro-Brexit Conservatives who say Britain must make a clean break with the EU in order to take control of its laws and trade policy. Junior Wales Minister Nigel Adams quit his post, criticizing May for seeking a deal with "a Marxist who has never once in his political life out British interests first" — a reference to the left-wing Corbyn. He was followed by junior Brexit minister Chris Heaton-Harris, who said in his resignation letter that the government "should have honored the result of the 2016 referendum" and left the EU on March 29. Meanwhile, pro-EU lawmakers were not banking on talks between May and Corbyn succeeding. 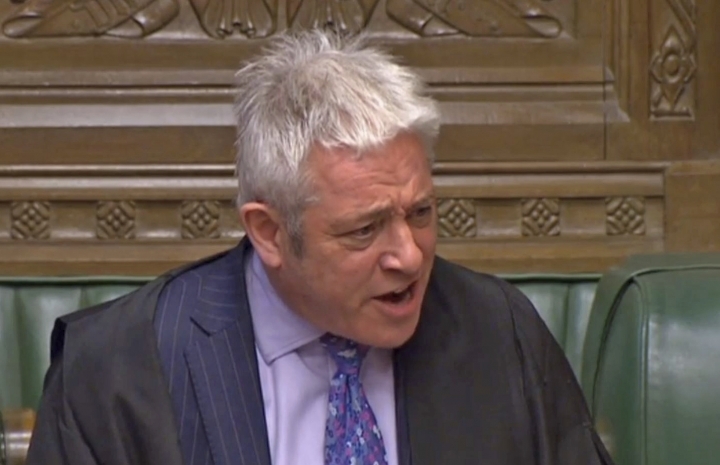 The House of Commons on Wednesday approved a bill to ensure May can't go back on her promise to seek a delay to Brexit rather than let Britain tumble out of the bloc. The bill still needs approval from the House of Lords, Parliament's unelected upper chamber — likely on Thursday. And it does not force the EU to agree to delay Brexit. EU leaders, weary of the whole Brexit circus, gave a cautious welcome to May's attempt at rapprochement. German Chancellor Angela Merkel said she would work "until the last hour" to secure an orderly Brexit, but stressed that "these solutions have to be reached above all in Britain itself." Britain's televised political melodrama over Brexit — with its weeks of passionate debates, narrow votes and seemingly endless crises — has left EU leaders exasperated, but also fascinated. 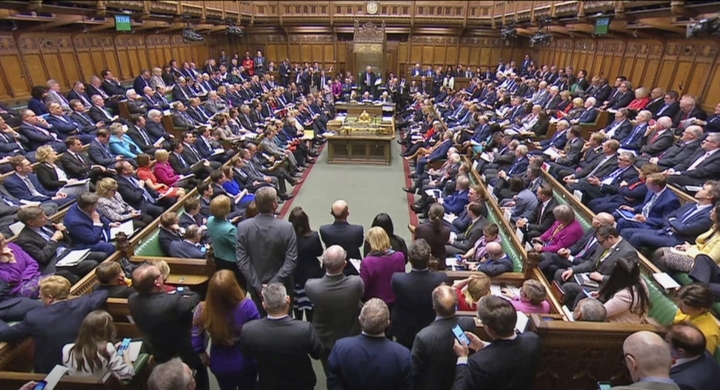 The EU's Brexit coordinator, Guy Verhofstadt, joked that "the sessions in the House of Commons have become more popular than the matches in the Premier League." 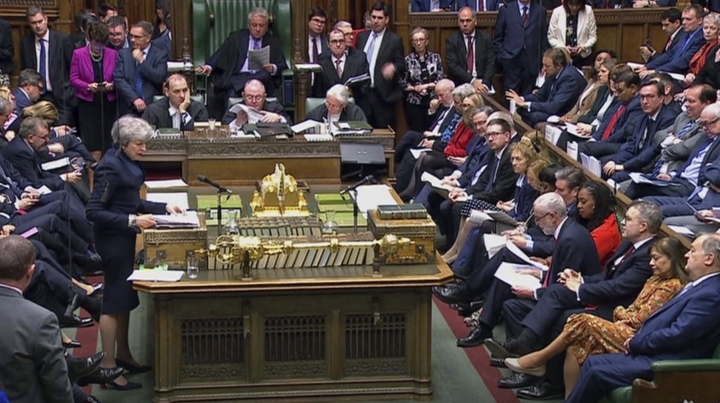 "The trouble is that it is always a draw in the House of Commons," he said.